*Orders are shipped on business days only. Business days are Monday-Friday, excluding federal holidays in the United States. *Most orders with Overnight or Second Day Service will be shipped the same business day if placed by 3:00 PM ET. *Orders with Overnight or Second Day Service may require a signature upon delivery. 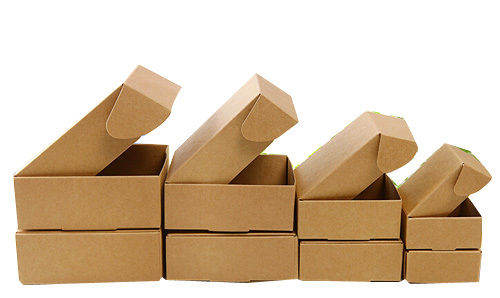 *Overnight or Second Day Service is not available for shipments to APO/FPO, P.O. Boxes, U.S. Territories and certain locations in Alaska and Hawaii. Please call us at (888) GO-ANGIE OR (888) 462-6443 if you have any questions regarding the shipment of your package. *Some items sold by angiescosmetics.com require special handling as specified by federal, state and local regulations governing the transport of these items. The method of shipment for these items is dictated by these regulations. At angiescosmetics.com, we comply with these regulations therefore the shipment of some products to certain locations may not be possible. If this affects your order, we regret any inconvenience and thank you for your understanding. If you wish to provide a physical address in the United States to which we can deliver, we will be happy to ship your full order. If you have any questions concerning the shipment of your order, please contact us via email: customerservice@angiescosmetics.com or call us at (888) GO-ANGIE. We are currently unable to accept orders to be billed or shipped to destinations outside the U.S.
Angie's Cosmetic Unlimited accepts the following credit cards: American Express, Visa, Mastercard, Discover and eGift Certificates. We also accept PayPal as a payment option on www.angiescosmetics.com. CODs, personal checks, money orders, credit cards with billing address outside the United States, gift certificates or layaway. You will not be charged for your purchase until your order is shipped. For assistance with billing questions, please contact Angie's Cosmetics Online Customer Service at (888) GO-ANGIE OR (888) 462-6443. *The order total used to calculate Shipping and Handling fees will not include the value of the purchase of Angie's Cosmetics eGift Certificates. We regret that we must limit orders to no more than six (6) units of any item with a maximum purchase of $750 (not including shipping fees and sales tax) per customer*. If you have any questions please contact us at (888) GO-ANGIE or via email: customerservice@angiescosmetics.com and we will be happy to assist. We're sorry, we are currently unable to accept orders that are billed or shipped to destinations outside of the United States. We apologize for any inconvenience.